So I gave up on Pepsi (Way to many cans).. Just strictly doing mountain Dew. 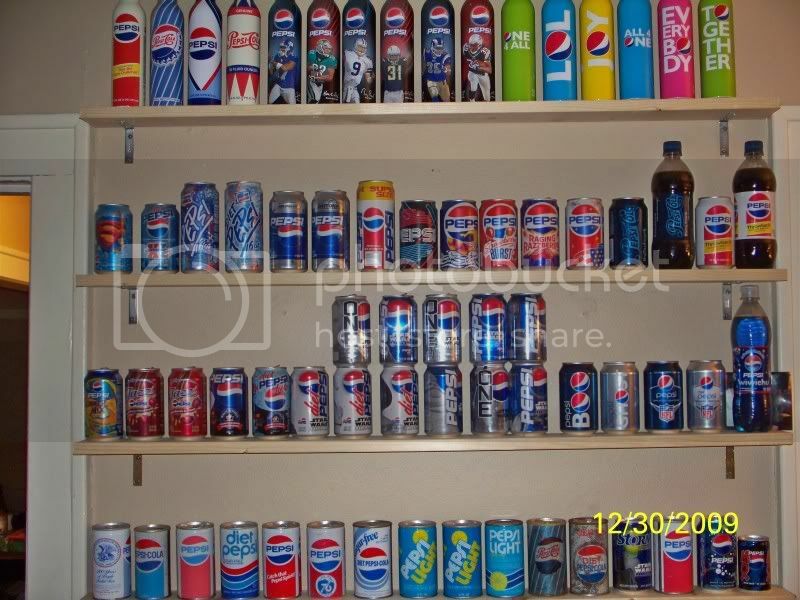 I will trade (For Mountain Dew only) or sell this collection. 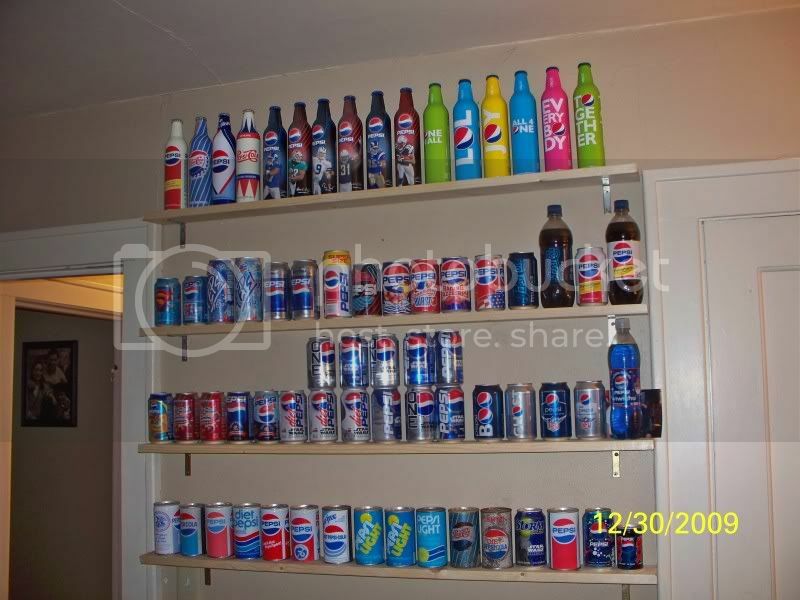 The aluminum bottles on the top shelf I will most likely keep. Let me know if interested in any of them and i will get more pics for you. Also if you want to buy any give me a price. I will start an Ebay auction for the ones you want, to make it legit. i need a few form them! Interested in the unique flavour cans such as "Raging Razzberries" and "Strawberry Burst".